We offer several types of carbon fiber including 3k plain weave Carbon Fiber in solid black sheets and also our creative line of Carbon Fiber & G10 color mixed layer sheets available in 5" x 12", 12" x 36" and 24" x 36". 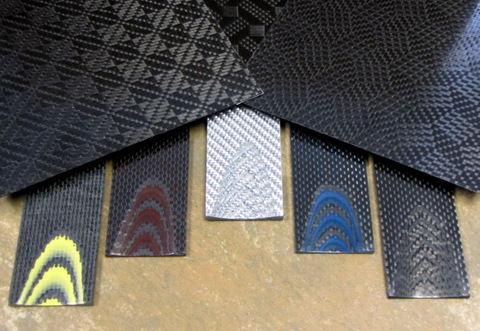 Please see below for all of our Carbon Fiber products. Please click on individual items to see options.